Very good to drive and comfortable. Lots of interior space. Five star Euro NCAP rating. Relatively economical. Excellent 1.0 BoosterJet engines. 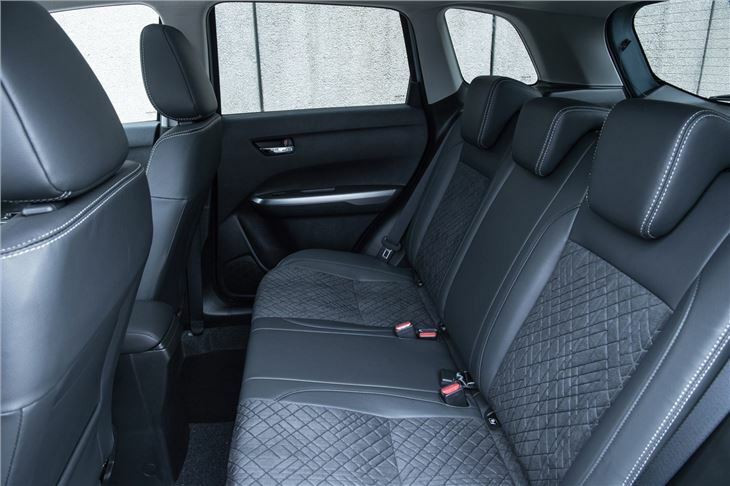 Interior was originally not as plush as rivals but was much improved from 2019. 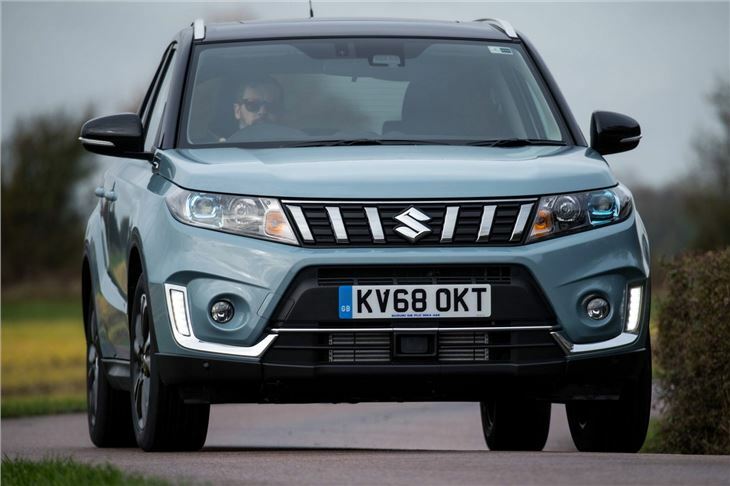 On sale for more than a quarter of a century, the Suzuki Vitara is arguably the original crossover SUV. 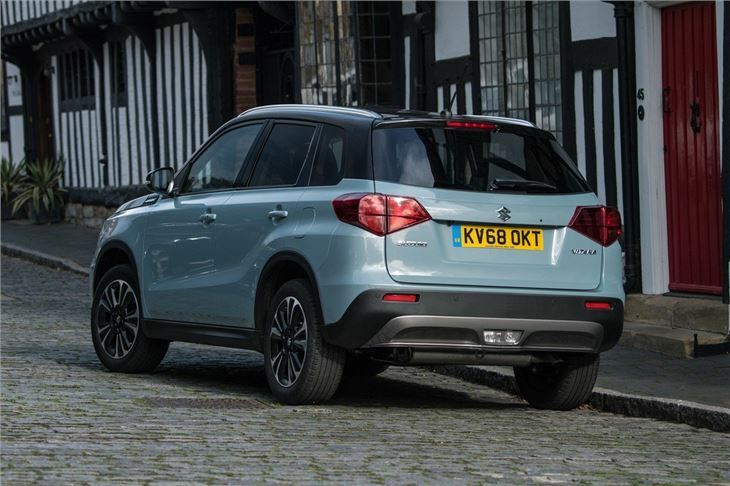 Unlike 25 years ago, the Vitara now sits amongst a raft of similarly small SUVs - the Nissan Juke, Renault Captur and Vauxhall Mokka X to name a few. 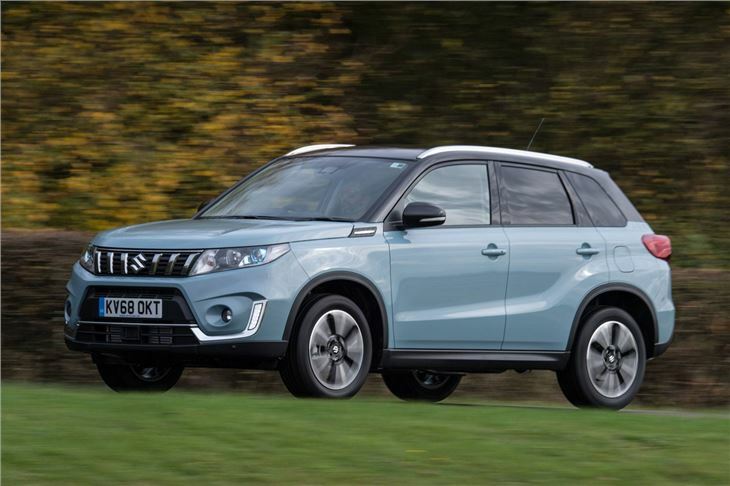 Although it's a competitive market, the Vitara is slightly different to its peers. It's marginally bigger and therefore more practical (although not as big as the likes of the Nissan Qashqai). It's also surprisingly good to drive. Indeed, it matches many more expensive crossovers for comfort and handling capability. 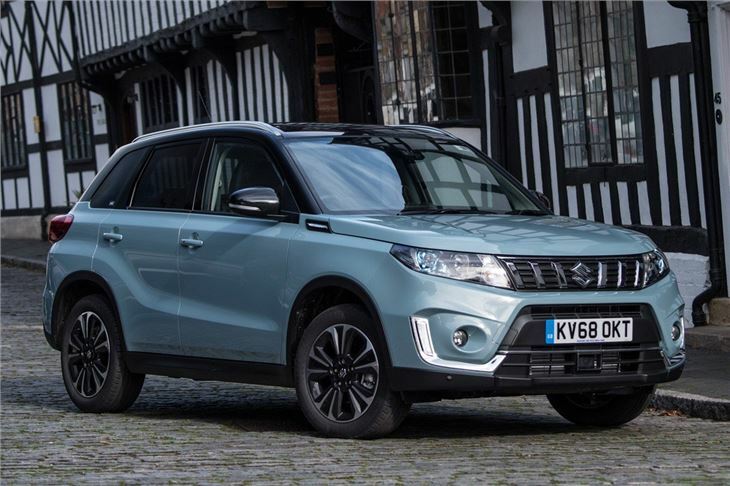 Various engines have been available since it was launched, but the 1.0-litre turbocharged BoosterJet petrol, launched when the Vitara was facelifted for 2019, is our choice, thanks to smooth yet strong performance and little noise. AllGrip four-wheel drive is an option and provides genuine off-road ability (although it stops short of being a serious mud-plugger - the Jimny's got that covered), while on the road it makes the Vitara feel unflappable. Most buyers opt for the two-wheel-drive version, however, which feels like a Swift-on-stilts (in a good way). It will grip and grip, although there's obviously more roll than the hatch due to the higher centre of gravity. Style-conscious buyers can choose from a selection of two-tone paint options, as well as a selection of customisation options for the cabin. 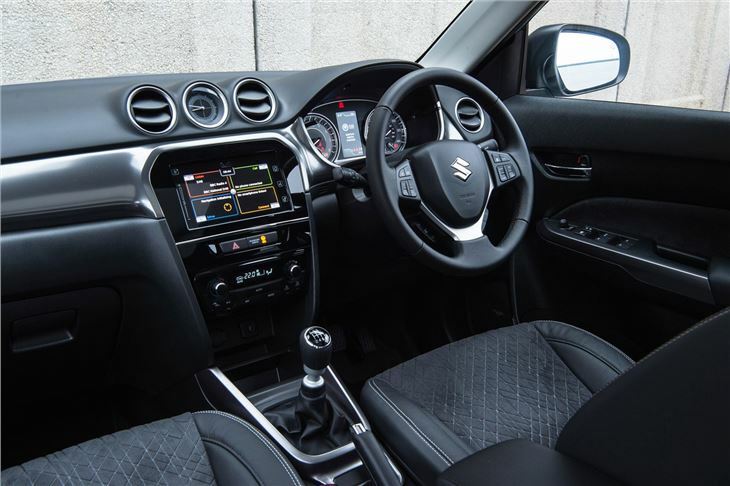 The interior isn't quite as plush as some rivals, but it feels solid and the touchscreen infotainment system (standard on the SZ-T and up) is easy to use. 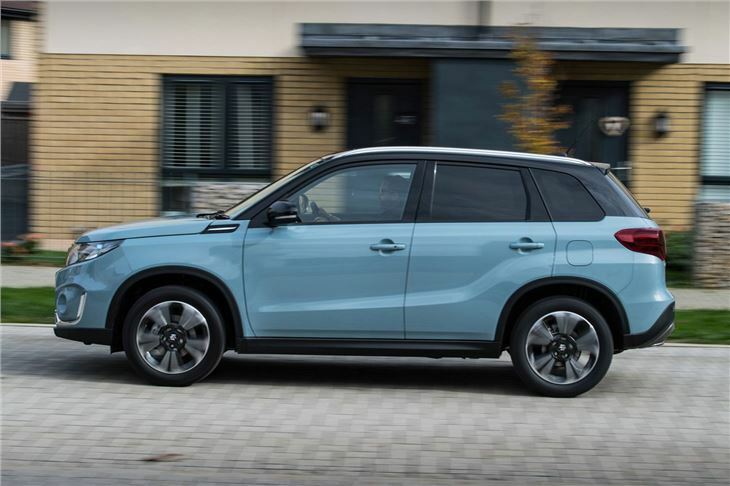 The Vitara has up-to-date safety equipment including active systems like adaptive cruise control and automatic braking, as well as a high level of passive safety specification thanks to lightweight but strong bodywork. It scored five stars when it was crash tested by Euro NCAP in 2015. We think the Vitara offers a lot of space and equipment for the money. It may not be as stylish as other small SUVs nor as desirable, but we think the smart money would go on the Vitara every time. For 2019 the car was brought up to date with an improved interior (you can tell the revised models by the chrome slats on the grille) making it more than a match for the competition. Sporty looks, good spec, but under powered.